A monkey escaped from its crate Monday afternoon at San Antonio International Airport but was shot with a tranquilizer and was recovered safely. Officials said the monkey got out of his crate in an isolated baggage area where animals are checked upon arrival. The monkey, a rhesus macaque named Dawkins, according to NBC affiliate WOAI, was on his way to a local animal sanctuary and refuge. Dawkins was on an American Airlines flight to the Alamo City from Chicago when he "inadvertently became free of his cage," the carrier said. He was contained in an isolated area away from staff and customers and officials from the San Antonio Zoo were called in to ensure his safety. The zoo said on Twitter that it conducts regular emergency drills so it was prepared for such incidents and transfered the monkey to its owner. 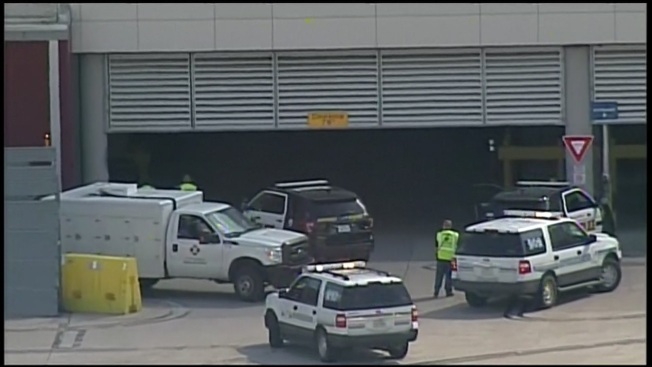 The monkey had been confined to the baggage handling area and tranquilized, San Antonio Aviation Director Russ Handy said. He couldn't say how rare such incidents are at the airport. "People that have been here at the airport a while can't remember this type of thing happening," Handy said. "We transport a lot of the animals and the rules on kennels and how they're supposed to be secure are very clear, so I would say it's very rare."